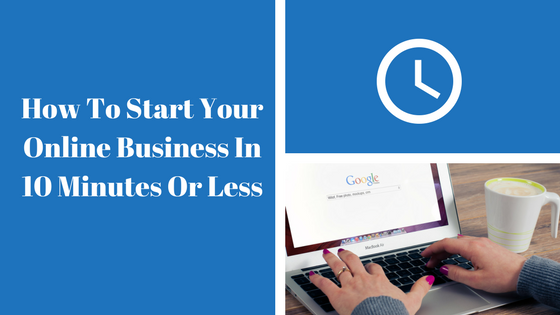 A lot of you new business owners are put off starting a business online when you first set up your business. You may have a pre-conceived idea that it will cost you lots of money. The truth is you can start your online business with a free website, see below for some of the places you can get started today. This is free website software which allows you to build a website using a drag and drop technique. Automatically creates a responsive mobile website, ideal for people viewing your site with a mobile phone or on a tablet. Create a blog, add videos, a gallery, e-commerce plus tonnes of other plugins. Wix is also free to join and also allows you to create your website using a drag and drop technique. One of the best platforms around for creating blogs and websites, most of the sites that you see today on the internet will be done in WordPress. Easy to set up for blogging only, can be a little more difficult if you are looking to host your website on your own server, although in fairness a lot of the domain providers can do the WordPress set up for you included in your hosting fee. Hundreds and hundreds of plugins, you can change your theme, install an anti-spam plugin, setup and SEO plugin, there seems to be a plugin for every occasion and best of all most of them are free. Free monthly websites 2.0 is an opportunity for you to own a brand new content rich website each and every month at no cost whatsoever. Well Free Monthly Websites 2.0, literally does what it says on the tin, every month you get a content rich, Adsense ready niche ready website for you to upload to your domain and promote the hell out of. They provide awesome training videos which talk you through the steps of setting up your WordPress site and theme etc but if you are an internet newbie it could be a little overwhelming. They also offer a free and paid programme you can easily make money with this if you understand internet marketing. 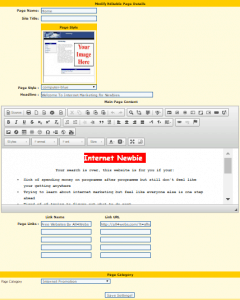 All4webs is another free website provider, they offer a pretty basic template for you to begin with but the paid option is a little better as you get a much larger range of templates. when you log in you are meet by this interface, which shows you how many pages you have. To edit a page it is as simple as clicking edit. Editing your website pages is very easy for you using it is as simple as typing into a word processor or using facebook. The free version only gives you a limited amount of pages, you also have to put up with banners and adverts on your website in the free version. When you upgrade you also get the banners and additional adverts removed from your website. It is another good free website option if you need to keep your website start up costs to a minimum. Simply ask! If you need a hand with anything that I have discussed here, feel free to join the revolution or you can get in touch with me inside via my profile here. ⟵Start An Online Business In 48 Minutes Or Less!